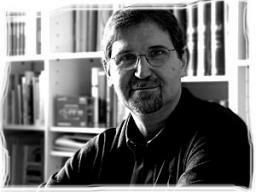 Ramon Solsona (Barcelona, 1950) is one of the most respected and acclaimed writers on the Catalan literary scene. He has picked up such prestigious awards as the Sant Jordi, the Prudenci Bertrana and the Serra d’Or. He has penned some of the biggest hits on Catalan regional TV and is a regular contributor to the press, radio and television.. Among his most acclaimed novels one should mention: Les hores detingudes (Quaderns Crema, 1993; Serra d’Or Award, Lletra d’Or Award, Prudenci Bertrana Award), DG (Quaderns Crema, 1998), No tornarem mai més (Quaderns Crema, 1999) and Línia blava (Columna, 2004). After the successful novel L’home de la maleta (Proa, 2010; Sant Jordi Award), his latest published book is the long awaited novel Tot allò que va passar a Cardós (Proa, 2016).